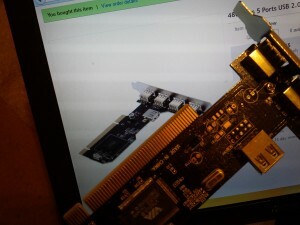 I recently ordered a pci-to-usb card and the pcb wasn’t exactly the one as shown in the picture. It’s missing the cutaway to fit in universal or 3.3v PCI slots. Without it, it will only fit in 5V slots. My motherboard only has one 5V slot, and it’s covered up by the video card. 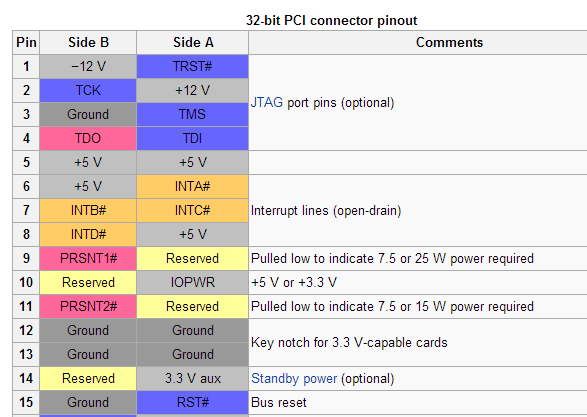 Looking at the specs for the VIA 6216L USB controller chip, it is suppose to run at 3.3V, meaning there should be a notch there. 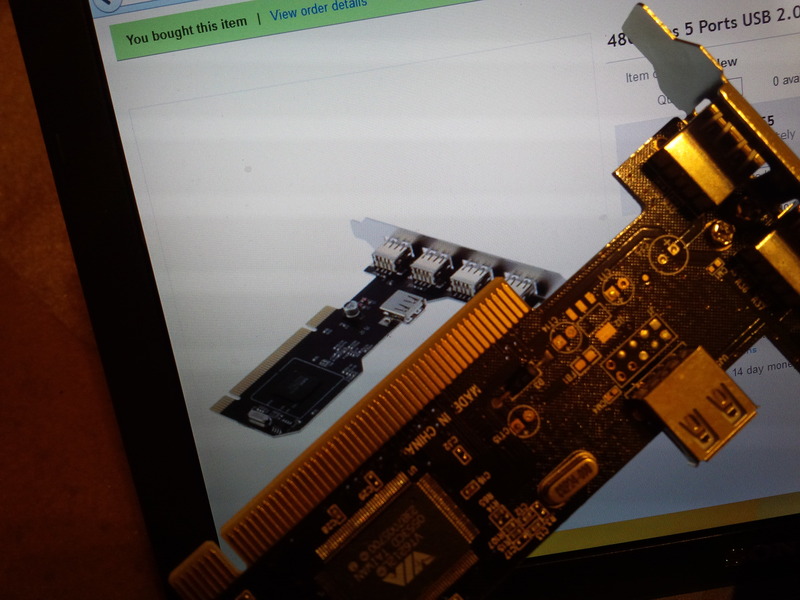 So I looked up the pin configuration for PCI slot, made a cut with a hacksaw removing pins 12 and 13, and it slipped right in. Works as expected. What card (maker/model) is it? Where does it draw the power for the USB peripherals? The bus provides them 5V to operate. It’s a generic brand from ebay for about $4 using a standard NEC chip. 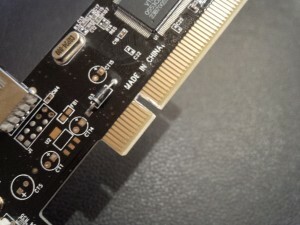 5V+ is taken from the pci bus. So… Your motherboard has PCI slots that support 5V but don’t have the notch? Weird.